Most our clients want to make use of their old cars during their daily drives. Being used to the comfort of contemporary cars, they get discouraged easily while putting on brakes, the car doesn’t react immediately, the small number of gears doesn’t let them spread wings on the road and on hot summer days their car seems stuffy. We have been renovating old cars for over 15 years. We take care of every detail making it almost the same as the original one. Facing the changing client’s needs, thanks to the lifelong experience connected with the newest technology we can offer turning classic Jaguar, Aston Martin or MG from the 1950s or 1960s into contemporary sports cars with its dynamics, comfort and safety. There are many ways of modernizing old cars. In order to increase the driving comfort, especially in the city, the best solution would be an electric steering wheel f with a possibility to regulate operating forces. The whole system is installed the way so as not to be seen with the naked eye, both under the hood and in the cockpit. 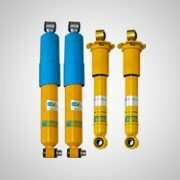 In order to improve driving and increase the security on the road we want to offer to you, oil shock absorbers Bilstein. Each of our shock absorbers is individually selected for the car and expectations of the owner. 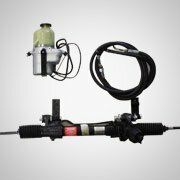 What is more, some shock absorbers can be regenerated. We realise old cars could not work well in daily, rush traffic. It is good to be assured that we are able to stop our classic at every turn. On our offer you can easily find a variety of modifications including modern vented brake shields, multi-piston calipers, double brake systems with a new servo, modifications of brake drums for calipers. 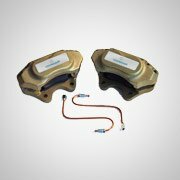 There are many possible ways of modernizing brake systems, so as to suit modifications to the car and your needs, we encourage you to contact us. 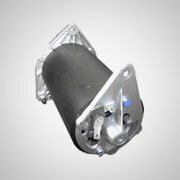 Light alternators and dynamos on our offer are characterises by reliability, high level of battery charging and low level of power intake. The original look is their biggest asset. All elements were designed this way not to visually differ from their counterparts years ago. They eliminate one of the biggest disadvantages of old cars. They guarantee the right amount of power while driving with turned-on headlights and other electric appliances. 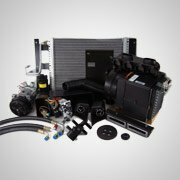 Revolutionary air-conditioning systems we offer are characterised by efficiency and unique looks. The whole system is put in original jackets of heaters which makes it practically invisible. 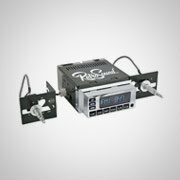 In addition, the system makes use of the new-built airflow channels, which enable one to defog windows quickly without defacing the interior. 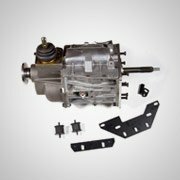 One of the most interesting modifications we can offer to you is replacing the old worn out starter with a new gear one, which guarantees reliability. 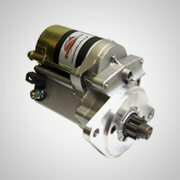 Starters we offer are twice as powerful, which makes starting the engine faster and with lesser load on the alternator. Over many years of trials, we are able to select the best solutions concerning gearboxes. Using possibilities given by new technologies we can offer modern, fully synchronized, five-speed gearboxes. The improved comfort is the biggest advantage of it. Gear change gets faster and more precise. The level of noise is also considerably reduced. Reduced fuel consumption is another essential advantage. Of course there aren’t any universal solutions for all cars. Every model needs an individual approach, which is why our solutions are dedicated to specific car’s models. 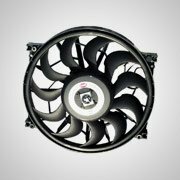 Modifications of cooling systems are dedicated mainly to sports cars, however their installation in an old car which does not take part in sports competitions, have also some assets. First of all, the certainty that despite the hot day and traffic jam we will always reach our destination. We can offer aluminium radiators, electric water pumps and additional electric ventilators. If we intend to make use of an old car for a daily drive it will be worth considering solutions above.